Completed in 1898, well after his more famous Manon (1884) and Werther (1892), Massenet’s Cendrillon was premiered at the Opéra-Comique, Paris in 1899. After its initial success and run of performances in various parts of the world up to about 1912 – which happened to be the year when Massenet died at the age of 70 – Cendrillon seemed to have dropped out from the international repertory of opera houses. It was revived in Canada in 1979 and a few performances followed in Europe as well as in the United States in the 1980s and 1990s. The opera returned to the Opéra-Comique in March 2011 and has finally arrived at the Royal Opera House, Covent Garden this summer. 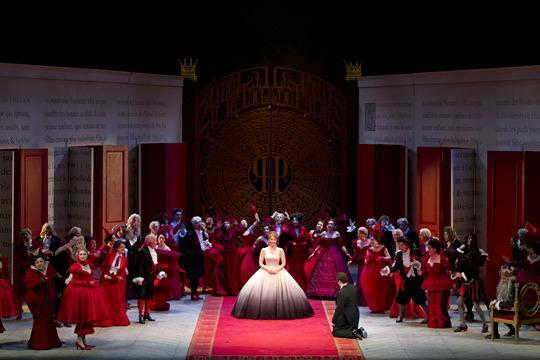 The performance on 5th July 2011 was the first time that Cendrillon was staged there. Laurent Pelly’s production is a co-production with the Santa Fe Opera, New Mexico; Gran Teatre del Liceu, Barcelona; Théâtre Royal de la Monnaie, Brussels and Opera de Lille. The production was first performed at the Santa Fe Opera in 2006. 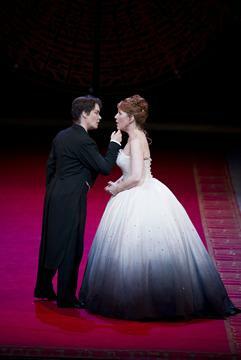 The cast included Joyce DiDonato as the protagonist Cendrillon and the Cuban-American soprano Eglise Gutiérrez as La Fée, Cendrillon’s Fairy Godmother. One would have hoped that, five years on, the two ladies would be entirely confident and well versed in these roles. 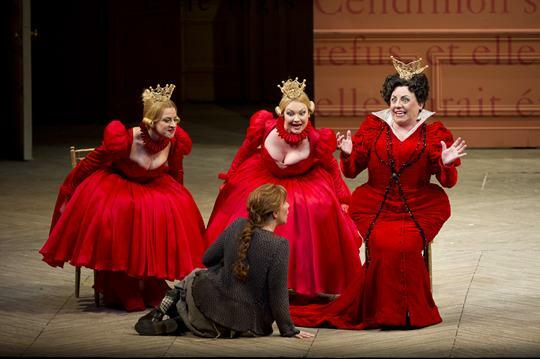 But, to this set of ears, DiDonato’s voice does not seem to be suited to the role of Cendrillon. Without doubt, DiDonato is a consummate artist with sensitive musicality and a strong stage presence. However, some of the top notes of Cendrillon appeared to be challenging for her. Yet I will never forget and will cherish forever DiDonato as Rosina in Rossini’s Il barbiere di Siviglia on the Royal Opera stage a year or so ago. I cannot tell if Eglise Gutiérrez – whom I have not heard until now – is miscast or if she was having a bad night. But the virtuoso role of La Fée, the top notes in particular, appeared to be problematic for her. Vocal problems also included French baritone Jean-Philippe Lafont’s almost constant but uncontrolled vibrato which renders some of his pitches uncertain. Nevertheless, he did deliver both the comedy as well as the pathos which is necessary for the role of the put-upon Pandolfe, Cendrillon’s father. Indeed, the father-daughter duet in Act 3 was as moving dramatically as it was satisfying musically. There was a lot of good singing during the evening: British mezzo-soprano Alice Coote (Le Prince Charmant) was magnificent with a strong and focused voice while Polish contralto Ewa Podleś (Madame de la Haltière, Cendrillon’s stepmother) stole the show for me. Her rich and strong voice, impeccable musical and dramatic timing, furthermore her sense of humour tempered with good taste should serve as a masterclass for entertainment with artistry. New Zealand soprano Madeleine Pierard (Noémie) and Estonian mezzo-soprano Kai Rüütel (Dorothée) were charming and vulnerable as the comic duo of sisters, while at the same time they delivered faultless singing. Indeed, Pierard and Rüütel – both of them Jette Parker Young Artists – must have made the Royal Opera House proud. I found Pelly’s production slightly disappointing in the same part of the show where I find Massenet’s concept problematic. Act III, Scene 2 is meant to be the enchanted forest scene where Cendrillon and her prince meet with the help of the fairy godmother. Or they don’t meet because – as it later transpires – this is happening only in Cendrillon’s dream. Bearing in mind that the whole of the Cinderella story could be interpreted as a dream (or fairy tale, take your pick), this sudden burst of realism seems somewhat illogical. Pelly places this magical forest scene on some grey rooftops with lots of chimneys, yet the music (and text) indicate more natural and magic beauty than what seems to me a caricature of a charmless fairy godmother with silly wings on urban rooftops. I can’t help wondering whether this particular scene should have been cut. It is not included either in Rossini’s Cenerentola or in Ashton’s ballet of the same title, surely both seamless masterpieces in their genre. Elsewhere, Pelly’s production is delightful, very funny while tasteful and – last but not least – hugely entertaining. Pelly successfully doubled as director and costume designer. Indeed, I have never seen costumes fitting a directorial concept as well as in this production. The characterisation of roles was enriched by fitting costumes in all meanings of the word ‘fitting’. For instance, the ludicrous costumes of the sisters clearly indicated that they were dominated and put upon by their ambitious mother. More often than not, Pelly uses the red colour – in various shades – to great effect. The red expresses royalty, aristocracy but also the profession of courtesans. Perhaps the demarcation is not always clear cut between various layers of society? At any event, Pelly’s red – especially those worn by the courtesans – is mesmerising.